Bonding means the intense feelings of caring and love between a mom and her baby. Mother-child bonding begins upon conception and carries through birth and early childhood. 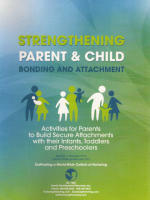 Nurturing Parenting Program for Parents and their School-age Children 5 to 12 Years has been rated by the CEBC. The following areas were rated by the CEBC: Parent Training Programs and Prevention of Child Abuse and Neglect (Secondary) Programs. Target Population: Families who have been reported to the child welfare system for child maltreatment including physical and emotional maltreatment in addition to child neglect; may be used as a court-ordered parenting program. The ability to positively nurture is a part of the nature of all human beings. Developing Nurturing Skills (DNS) Program overall goal is to cultivate a culture that promotes positive nurturing beliefs, knowledge and behaviors in our classrooms and in our families. Working together to create a “norm of nurturing” teachers and parents can make both the classroom and the home two environments that reinforce positive nurturing. The Reporting Module Option saves time and money, improves your program delivery and enhances your funding opportunities. Have your reports reflect the accurate presentation of data that will impress your Board Members and Funders. 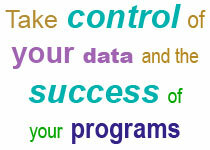 For a fee you will have the ability to create your own summary data tables. 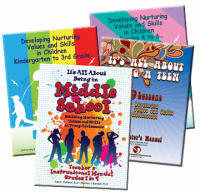 Ever wonder why some parents go to parent education classes and their children are still at risk? Sometimes we assume the parent didn't participate fully but it could be they were not referred to the level of class to best meet their needs. The Virginia State-Wide Parent Education Coalition (VSPEC) is a professional organization. 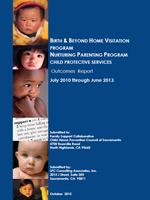 Nurturing Parenting Program as an effective Home Visitation program. This is an extensive study conducted by an independent researcher hired by Birth and Beyond in Sacramento. Over a period of three years, 4,600 Home Visitations were conducted including just short of 10,000 children with extensive longitudinal follow-up analyses.